A smuggling ring held Cuban baseball stars at gunpoint in Mexico, threatening to kill them if they tried to escape before signing lucrative contracts with Major League Baseball, according to U.S. prosecutors. On Tuesday, federal prosecutors described how Cuban baseball stars like Chicago White Sox first baseman José Abreu and Miami Marlins shortstop Adeiny Hechavarria endured kidnapping and extortion on their way to stardom in the United States. 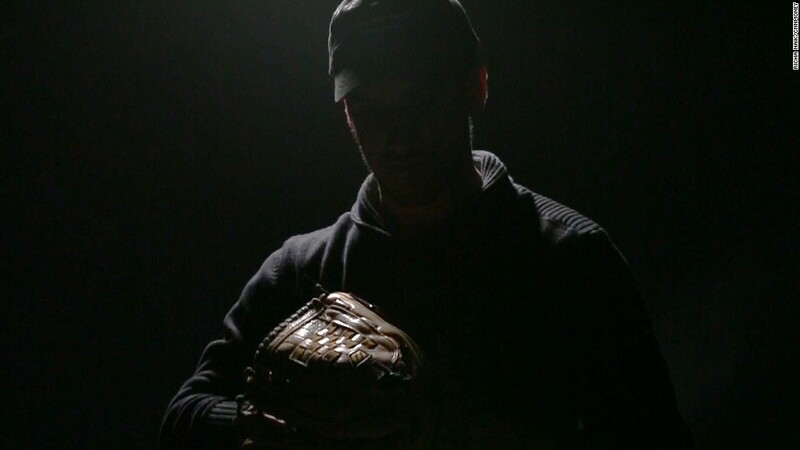 It's the latest evidence that the MLB's influx of talented Cuban players often relies on a shadowy underworld of armed thugs, stash houses and the world's most dangerous drug cartel, Los Zetas. CNNMoney has been investigating this black market, which involves several smuggling rings and dates back to at least 2006. On Tuesday, federal prosecutors in Miami laid out the details in a court document for the upcoming trial of Bartolo Hernandez, accused of partnering with a smuggling ring in order to force exclusive deals as the agent for 17 Cuban baseball players. 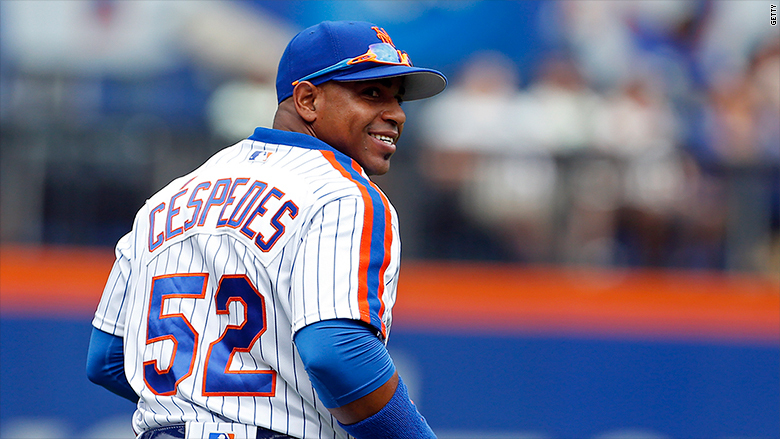 Several players, including ex-New York Mets outfielder Yoenis Céspedes, are expected to testify about this vicious black market. The trial is set to begin in January. The MLB has not responded to requests for comment. Prosecutors say alleged ringleaders Hernandez and Julio Estrada, both Cuban exiles, traveled to Cancun, Mexico, in 2009 to meet with yet another Cuban exile who'd become the head of a smuggling ring there: Joan "Nacho" Garcia. They cut a deal, according to investigators. Nacho's boat drivers would help baseball players escape the Communist island of Cuba. Then Nacho's armed guards would hold them captive until the players signed contracts with Estrada and Hernandez. They still weren't released until they signed MLB deals. 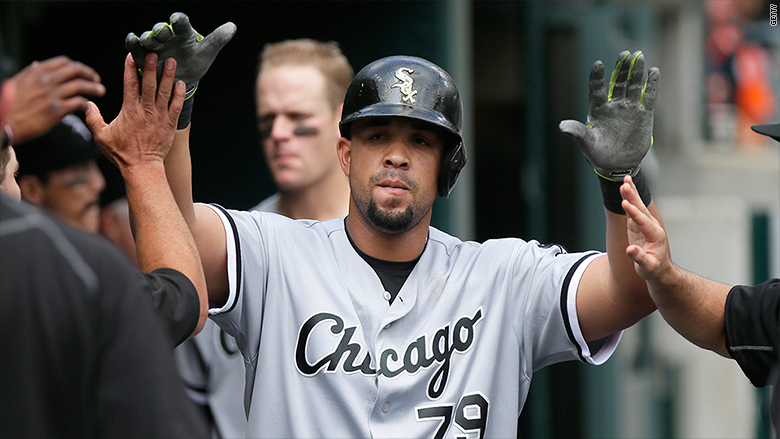 Chicago White Sox first baseman Jose Abreu was smuggled by the accused ring. The ballplayers came to Mexico on crowded smuggling boats that would sneak into a port in Cancun at night and unload the Cuban men, women and children. This human trafficking operated under the protection of the Zetas drug cartel, smugglers have admitted in court. Stowaways -- Cuban refugees who hadn't paid the $10,000 smuggling fee -- were tortured to force their families to pay. The guards would place a phone call to family members in Canada or the United States, who would listen to their loved one's painful cries on the other line. The migrants were kept in "prison-like conditions," according to the latest filing. The baseball players received better treatment due to their monetary value to the smugglers, according to several Miami defense attorneys who have represented smugglers in related cases. Players were flown to a rural ranch where they could practice baseball. To ensure the players would never leave on their own, they were surrounded by guards carrying pistols and forced to turn over their passports, according to investigators. A player "was told not to flee or he would be shot," prosecutors said in the latest court filing. The smugglers also separated the players from their families, giving them leverage in case a player escaped. When one player did manage to flee, Nacho's henchmen called the player's wife and told her they would kill him. The player returned. In a separate lawsuit, baseball player Leonys Martín Tápanes explained how he was forced to sign a contract with Hernandez and other smugglers in 2010 -- knowing that his family was still in the clutches of a smuggler in Miami. Martín now plays center field for the Seattle Mariners. Hernandez's lawyer in Miami, Jeff Marcus, called the government's description "pure fiction." Marcus said his client has been unfairly accused. 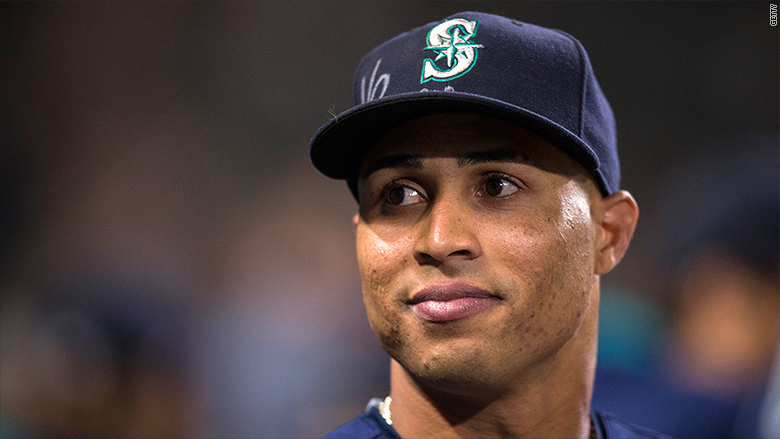 Seattle Mariner Leonys Martin Tapanes was forced to sign an agent contract with a smuggler. In Tuesday's filing, Miami federal prosecutor H. Ron Davidson points out one episode that indicates how perilous this journey through Mexico could be for everyone involved. On Thanksgiving week in 2009, two Cuban baseball players were traveling with the smuggling ring's kingpin, Nacho, when they were surrounded by armed men. The gangsters kidnapped Nacho, who was never seen again. Nacho was later chopped to pieces and his body parts dumped at sea, according to Miami defense lawyer Bill Clay, who has reviewed federal investigators' notes while representing a smuggler who has already pleaded guilty. Three other members of this smuggling ring have also been convicted or cut plea deals and are expected to testify against Hernandez. At trial this January, Hernandez is expected to present evidence that baseball players were treated well -- showered with parties, women and other comforts. CNN's Ahiza Garcia contributed to this report.